If you take me four steps forward from the ball you will see something making a noise. but if you take me four more steps you will need to pay money. Who am i? The letter 'a' If you take the letter 'a' from the word 'ball' and you move it four steps it becomes 'e' and the word is 'bell' and it makes noise and then you move it four more it becomes 'i' and then the word is 'bill' and you need to pay money. 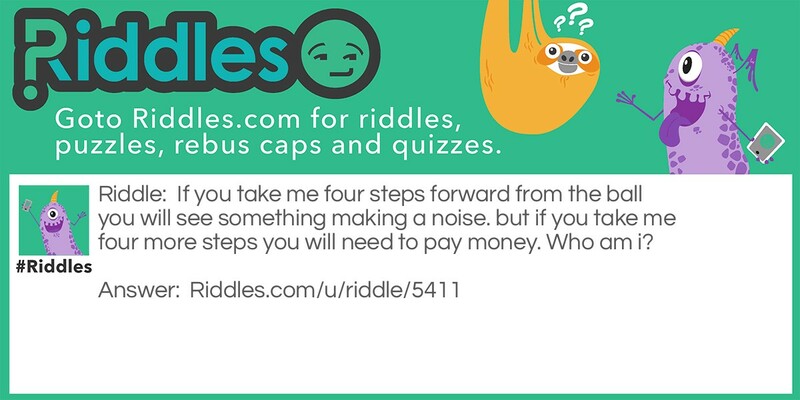 The ball Riddle Meme with riddle and answer page link.